Finally finished this birthday present for one of my favorite people. This is one of the most fun and favorite things I’ve made, and it was so great getting to think of my friend while making it. 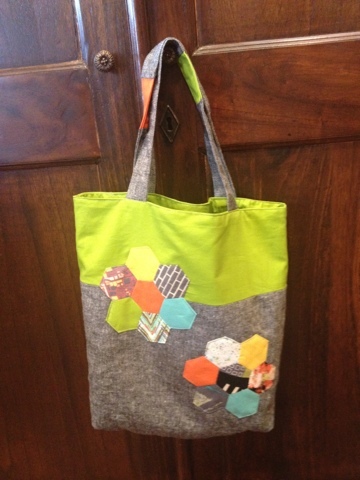 It was my first time with bag making and English paper piecing (the hand sewn hexagons, which are possible to do on the way to the ski area in the car not to mention during a hot bath while listening to a book on tape (talk about multitasking)). 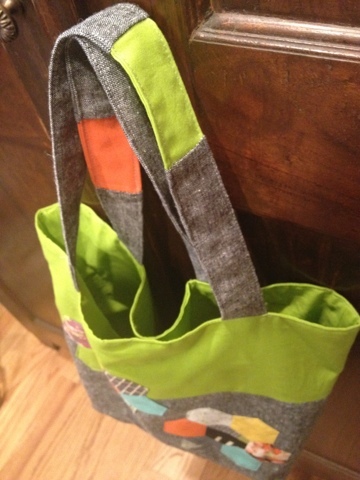 I really loved the combination of sewing something useful like a bag with quilting to make it unique and decorative. 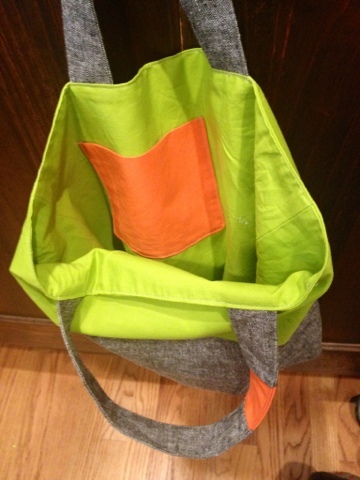 I even already started another one, and I can’t wait to get into smaller, zippered pouches. 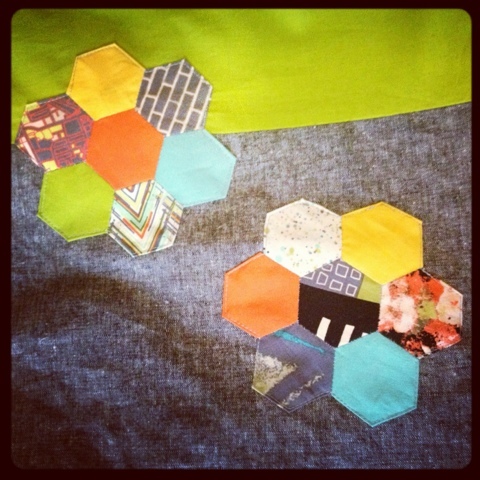 I used a charm pack of Jay McCarroll’s Center City fabric collection for the hexagons. I just love this line of urban deliciousness. I am thinking about picking up some larger pieces before it is all gone—some of the prints would make amazing summer shirts and skirts. 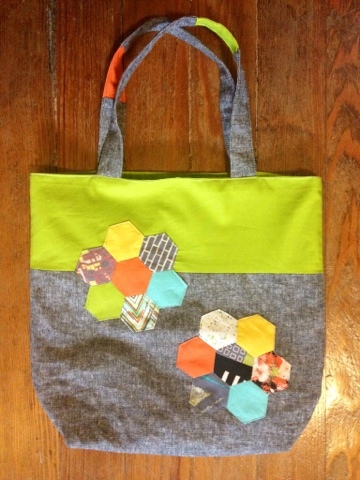 I learned how to make the bag by watching the free Bag-Making Basics class on Craftsy.com, and I learned about English Paper Piecing by watching one of the lessons that’s part of the free Block of Month 2012 class also on Craftsy.com.